Looking For a 1 Bedroom Apartment to Rent? 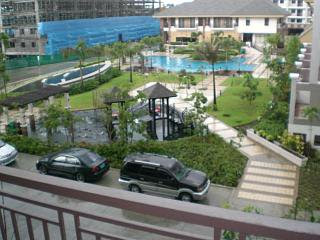 A good friend of mine is currently looking for someone to rent his 1-bedroom apartment in Pasig City. I thought of helping him out by posting it on this blog and maybe one of you is looking for a nice place to stay in a great Metro Manila location inside a secure condominium complex. Bonus: the community has a great pool and fitness facility! Please check out the pictures below for have an idea of what the place looks like. It is fully-furnished and the rental includes parking for 1 vehicle. If you are interested, please leave a comment along with your full name and e-mail address. I will connect you directly to the owner of the condominium unit. Serious inquiries only please!